In hot and humid conditions, bathrooms can often suffer, as grout may be discolored by mold or mildew. Homeowners may also find that their tastes change over time, and the countertop they thought was absolutely gorgeous a few years ago is absolutely horrible now. They may also be purchasing a property that has previous damage or dated counters. No matter the reason, homeowners may want a change in their bathroom’s style without the cost of brand new counters, fittings, or installations. For bathtub refinishing in Hollywood FL, reach out to Artistic Refinishing. We have the necessary skills and tools to restore a bathroom to fresh, new condition in just a few hours. As a principle city in the metro area of Miami, Hollywood has an average temperature between 68 and 83 degrees. Its climate is considered to be tropical monsoon, which means that the summers are hot and humid, while summers are dry but still warm. To reglaze or refinish a bathroom or bathtub, Artistic Reglazing works with our clients to find the right finish color and texture for their desires. All of our finishes, once dried, are durable and non-porous. This means that there is no further surface for mildew or mold to grow on, and that minor bumps and bangs should not damage the finish. We needed bathtub refinishing, and we knew just who to call. The bathroom is an important room of the home. Having a refinished bathtub can help you be more relaxed and at peace in your house. To entirely replace your bathtub, shower, or sink fixtures is complicated, frustrating, and expensive. All too often, the subfloor and other elements of the home are damaged during the removal process, meaning that they must be replaced. These sort of in depth construction projects often take longer than initially anticipated, meaning that your bathroom may be out of commission for a longer time than you’d prefer. Compare that with reglazing your bathtub or refinishing your bathroom. We are generally able to complete the process within a day, and your room is back to how it is supposed to be. You get a fresh, revitalized bathroom at a fraction of the cost of a complete revamp of the room. If you are considering bathtub refinishing in Hollywood FL, make sure to contact Artistic Refinishing. 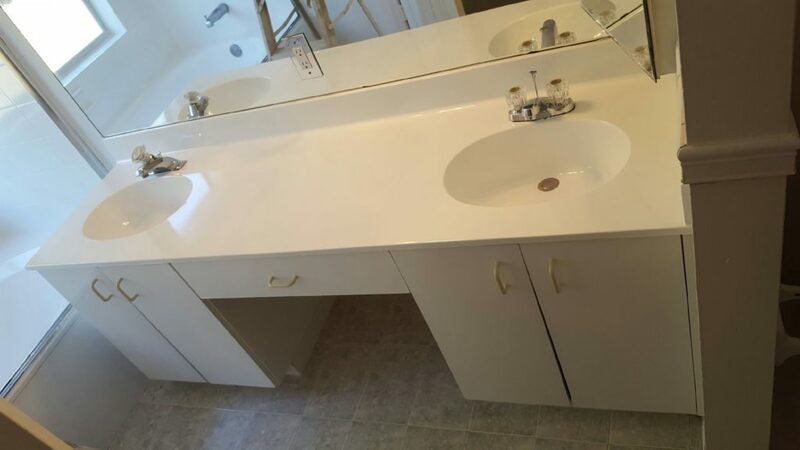 Our team will give you a free estimate of the cost of resurfacing your cabinets, surfaces, tubs, and showers, turning your bathroom into the room of your dreams. Visit us today to get a start on getting your bathroom up-to-date.